Flipping through the pages of my 'little black book' of the good places we've dined, I suddenly realized how much we've eaten especially over the past two weeks! 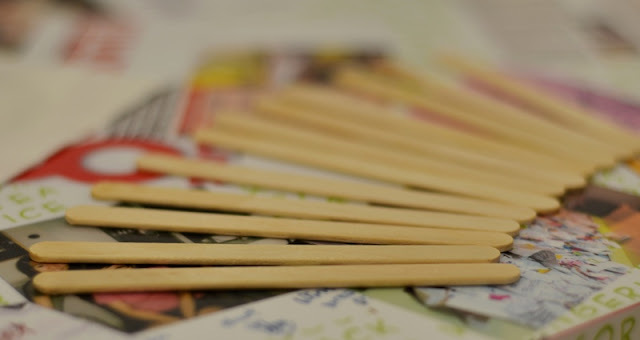 The festive season had definitely kept us busy with ongoing photography competitions and also food tasting sessions. 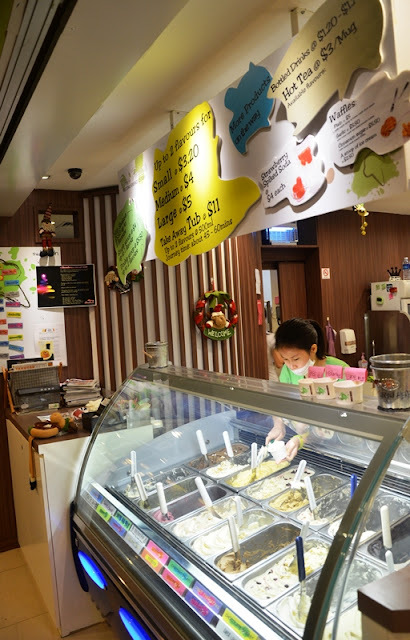 Referring to one of the entries in my old blog which back in 2008, I compiled my own 'Top 10' ice cream parlours in Singapore and humbly Tom's Palette was among the ranks. It was time to revisit them upon my return to Singapore! Upon my arrival at Shaw Towers on Beach Road, it took us quite a bit of effort before we located the parlour. Tucked away hidden at a corner with a few other small eateries, it was a hidden gem indeed. Spoilt for choice at the ordering counter, we deliberated and took our time in deciding. Despite so, we felt no pressure from the young and very friendly staffs who were more than willing to explain the flavours to us in greater details allowing us to firm up our decision. I was definitely impressed with the attentive staffs and what struck me most was when one of the serving ladies said 'Don't need to feel 不客气!' (don't need to feel shy about trying the flavours) cos after sampling some 4-5 flavours, they were pushing us to try more (in a good manner) till we were satisfied with our choices. This was in fact the first time I experienced such good service and when we were done, we had been offered a total of 11 flavours to taste! What reinforced my conviction that their ice cream was good was that we spotted one of the servers sampling some of the ice cream herself! There was not a single point in time where we felt compelled to make our orders. That being said, the shop was pretty empty with only 2 customers then, but nonetheless their service was surely commendable. Personally, I felt that if one's staffs were relentless in promoting their products, i.e. through food sampling in this instance, that spelled their confidence in the quality of products. We eventually settled for 4 flavours (1st 4 below), whereby mine was a large (S$5/-) while my lady had a medium serving (S$4/-). You could have the small portion at S$3.20/-which also allowed the flexibility of a combination of 2 flavours, like what we had. All prices were nett, inclusive of GST and service charge. (+) Tasted like a mixture of lemon and mandarin orange or calamansi, very zesty. (+) A very refreshing burst of tingy-ness upon first taste. (-) Was hoping for a slight salty aftertaste, but sadly the sea salt was rather insignificant to taste. (-) Being labelled an ice cream, I was expecting rich cream tastes, but it tasted more like sorbet, though it went well by my books. (+) Interesting combination of berries, choco pop chunks that sizzle in your mouth! (+) A very nostalgic taste which brought back childhood memories of those sizzle candies. (+) Ice cream was very rich in taste and flavours, not overly sweet. (+) Complemented by the natural sweetness of the berries. (+) Similar in taste to Ben and Jerry's 'Cherry Garcia', but with the sizzling pops. (+) Another interesting flavour and combination of flavours. (+) Generous amount of cranberries in the serving. (+) Very rich and thick cream cheese aftertaste. A love or hate relationship in my opinion. (-) Personally, sweetened cream cheese with cranberries just did not go well with me. (-) Not a huge fan of rich cheese flavours, so judgment could be other end for some. (-) Could not really taste much of the chestnut nor toffee, in fact wouldn't know it existed till we double-checked the contents with the server. 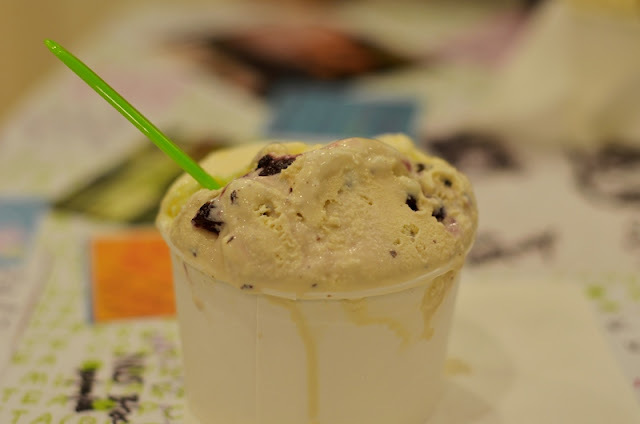 (+) Tasted like a combination of 'Horlicks' and 'Milo' served as ice-cream. (+) Unique rich creamy taste, with crunchy shortcake taste. (+) The lack of milk in this sorbet made the cocoa very rich and outstanding. (+) Bitter initial taste with a subtle sweet aftertaste that was not too heavy on the palette. (+) Varied taste to a usual milk chocolate ice-cream, with focus on the cocoa for this sorbet. (+) Would return to enjoy this treat more than just food sampling. (+) One of its kind flavour and certainly the first I had ever tasted. (+) Tasted almost the same as the egg yolks in mooncakes, served as an ice-cream. Well, that being said, I almost never eat salted egg yolks in mooncakes and avoid it at all costs due to personal preferences, but for people who swear by them, this is definitely a 'Must-Try'. (+) Definitely a 'savoury' treat for those who enjoy rich, thick creamy indulgence. (-) Despite tasting the flavours of potato crisps, it was soft and soggy. (+) Taste of authentic matcha and not green tea flavouring used by common ice cream. (+) Rich and creamy enough to satisfy the lady's tastebuds. (-) However, we felt that a greater concentration or dose of matcha would be ideal. (+) Fine pieces of vanilla pod which gave a beaded texture to the velvety vanilla ice cream. (+) Enjoyed the varied mouthfeel in this rich, creamy fragrant treat. (+) If you enjoy plain vanilla, you will almost certainly enjoy this. (+) Strong coat of cinnamon, very fragrant and palatable indeed. (+) Soft chunks of apple flavoured crunch bits helped define the flavours. (-) Expected to taste soft chunks of apple fruit and not crunch bits. (-) Being a cynic towards apple cinnamon desserts, I felt that the cinnamon was overpowering and to a certain extent masked the sweetness of apple. (-) Sounded rather unique, but taste wise failed to deliver, was not bad, but not good either. What was particularly commendable was that when the servers scoop the ice-cream, they all made sure that masks were worn to cover their mouths. A simple gesture as such reassured customers of the high level of hygiene in the handling of their products. Another attentive aspect which Tom's Palette touched upon was the free flow service of warm/cold mineral water at the back corner of the shop which was also offered at Daily Scoop. It was overlooked but while I was making payment, the server highlighted to our attention with a smile. The one key unique characteristic which set Tom's Palette apart was the ingenious decorations within the shop. It was simple yet it defined the shop's character. With customers' scribbles and drawings, they were mapped onto the tables, which made every table distinctly different on its own and one of its kind. There was a little chalkboard at the outside of the stall together with the various accolades received which indicated that Tom's Palette would be hosting a 'Ice Cream Making Workshop' scheduled on 8 Jan 2012 from 11am-1pm priced at S$60/pax. Interested gourmet enthusiasts might wish to give them a call at (+65) 6296 5239 to check on availability. Overall, it was a very pleasant experience, largely influenced by the excellent customer service and unique flavours offered. Despite some misses with the flavours, there were definitely some hits which would make me return. 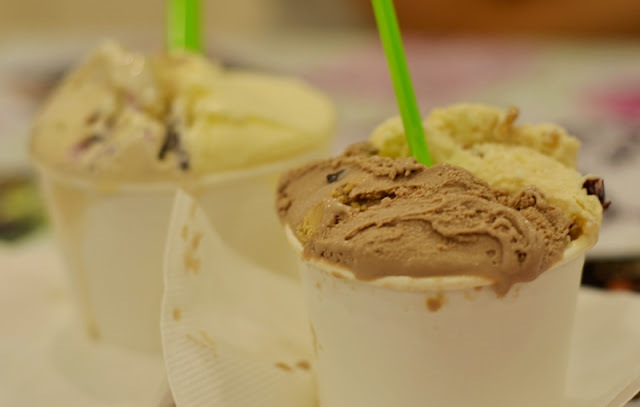 The very fact that it was a local homemade ice cream parlour is already itself worthy of a visit.